Choosing the right web partner in the UAE can be a daunting experience, you could say it's akin to selecting a reliable broker to wrap up a real estate deal. There are a ton of web service providers to choose from, all primed and ready to compete for your business. In most cases, it's a significant investment to get your website right, and you wouldn't want to spend that time and money working with someone who doesn't understand your brand, business objectives and target audience needs. Hopefully, by following the tips we've laid out below, you'll be able to narrow your search down to a few quality candidates. Meaning, don't just let them tell you what they think you want to hear. Finding the right web agency in Dubai is as much about asking the right questions, and setting the proper expectations, as it is about assessing their proposal. No matter how small or insignificant it may feel, don’t be shy to question it. Doing this will reveal how they react to your non-techie frame of mind and give an indication as to how comfortable they will be to work with, which can be a deal breaker. Be ready to do a little research on the track record of your prospective vendors. There are a few things you can look at. The obvious and most important one is their existing portfolio of work. Check out what they have done before. Is the work to your standard? Is the calibre of clients on par or higher than yourself? Do they have client testimonials? Why not call up some of the clients and speak to them about their experience? You can also check out their social media channels. What are people saying about them? How does the agency respond to people on social media? Do they seem like nice people to deal with? 3- What technical features and functionality are specified? Specifying your requirements in detail is important. For example, do you need a Content Management System (CMS) and if so, how much flexibility do you expect it to give you? Not all CMS's are equal. Some will easily allow you to edit existing data and enable you to create new pages in certain parts of the site while others are monstrosities that will allow you to do everything from changing the navigation and site structure to colours and page layout. A great deal can become a terrible waste of money – or vice versa – depending on the fine print. 4- How much time will be put aside for your project? Humans are terrible at estimating how long something will take to do, but as with anything worth doing, you don't want to rush it. An excellent small to a medium-sized website should probably take around four to six weeks to build. So, if they say yours will be ready in a week or two, beware! 5- How much will the site cost? This one is difficult because there are a plethora of variables that determine the cost. Quality is a big one, the methodology used is another, who is doing the work plays a part etc. There's no set standard for fees. The key is to figure out the potential ROI a great website can give you. Once you know that and you decide how much time can pass before the site should pay for itself, you'll have a good indication of what budget you can commit. Then, once you know this, tell the agencies you're liaising with how much you're willing to pay and let them show you what they can deliver for that price. This way you take price out of the equation enabling you to judge agencies on an equal footing based on the quality and relevance of their proposed solutions. This may seem like a silly tip, but you'd be surprised how much an office visit can reveal. Firstly, you'll know for sure that it's a viable company and not a one-man-band working from home (you'd be surprised how many of those there are, pretending to be fully-fledged agencies). You'll also get a sense of what the company culture is like. Ideally, you can meet the team that will be working on your project. Do you like them? Is the office organised and well presented? Don't forget; they are going to be responsible for your image online. How well do they maintain their image? 7- What does your gut say? Lastly, pay attention to your instinct. When you sit down to meet with the team, what does your gut say? Do they seem honest? Do you like their approach, and can you see yourself working with them for an extended period? These might seem like obvious questions, but lots of clients will compromise on feelings to meet budgets and time frames. 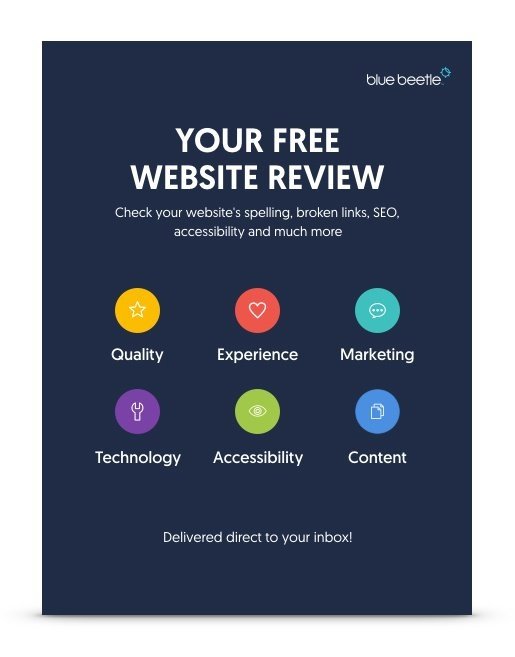 Given that your website is an incredibly important marketing tool – and that you'll probably be stuck with this team for quite a while – it’s a bad idea to ignore that sensation in your stomach.